Movies are weird. The movies themselves are entertainment. They’re artistic creations designed by people with stories to tell and messages to convey. However, you only get to tell that story if a business believes that enough people will pay enough money to see you tell it. But, maybe it doesn’t have to be that way. Could it be so simple that the best story will make the most money? One writer thinks so. 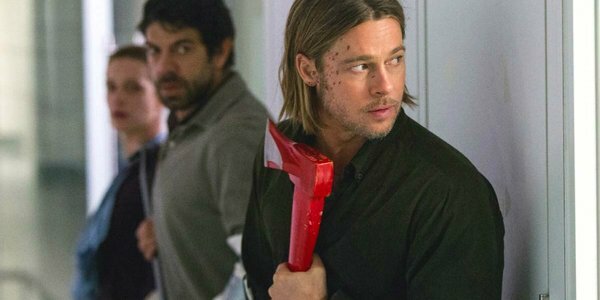 To me the big lesson of World War Z was that Paramount, Plan B and Brad Pitt simply said, ‘Let’s take the time to make this movie the best version of the movie before we put it on the screen for audience.’ That doesn’t happen a lot. A lot of times they just throw the movie out there and say, ‘We’ll make all our money opening weekend and then the movie will go away.’ I came away from it thinking, ‘Why don’t we do this on more movies?’ [Laughs] It’s really hard, but if you can take the time to stop and step back for a second, it can really help the quality of a movie. It seems like the most obvious thing in the world but, as Drew Goddard says, a lot of times it just doesn’t happen like that. Studios see additional expenses as cutting into eventual profits, as opposed to being a way to actually increase those profits down the road. Instead, many films that have production issue are just thrown out to audiences to recoup whatever costs they can, rather than having the time taken to fix the problems. However, most of the examples that we have where studios allow the filmmakers to take their time and make the movie right sees success. Peter Jackson spent years in preproduction on The Lord of the Rings before a single frame was shot. The director has said himself that the reason The Hobbit trilogy is not as good is because he did not have that extra time. J.J. Abrams has credited the injury to Harrison Ford for making Star Wars: The Force Awakens a better movie. Much like Goddard says, it gave Abrams the chance to take a step back and reevaluate things, due to the forced pause in production. Is it all that simple? Will just taking the time to make the best product result in the financial success the studio requires? Let us know your thoughts.